Amy Harrison, a third year engineering student, wasn’t always bold about her faith. She became a Christian at the age of 6, when her family lived in rural Taranaki. Her family moved to Waikato, and a new church, when she was in intermediate school. There she began to understand what faith in Christ means. 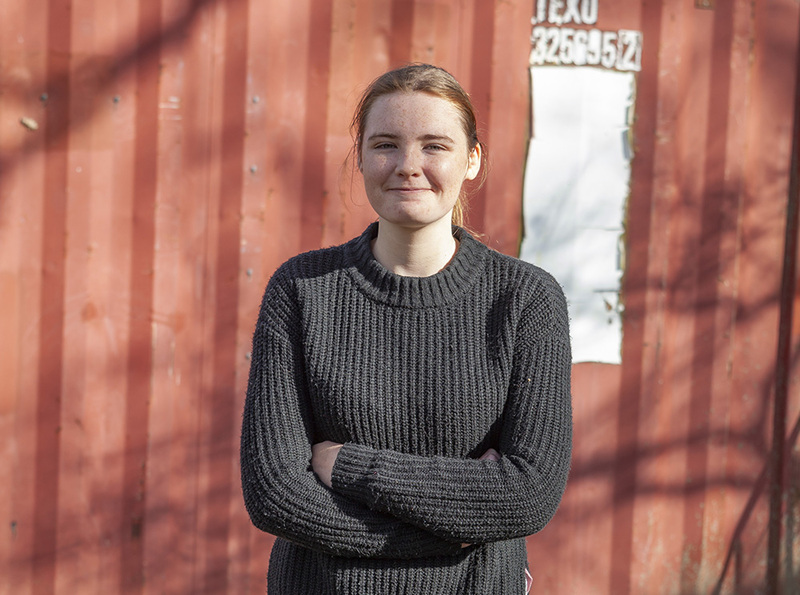 So when Amy began studying at the University of Waikato, the quiet thinker gravitated to a group of Christian students who met to tackle tough questions. The Christian Fellowship gained a staff worker when Nick Goodwin joined the team last year, and Amy is now the group’s president. She shows intentionality with her involvement in the group and with her study goals. In April an opportunity opened up for Amy to meet with like-minded people from around the Pacific, many of whom have years of experience applying their faith to environmental sciences. She spent five days at the Lausanne/WEA Creation Care Consultation Oceania in Australia, where she was joined by Otago staff worker Jen Allaway. It was the first time going overseas alone for Amy. (“Mum was a bit concerned about me travelling by myself because I’m a bit of a scatterbrain sometimes,” she said.) Despite flight delays, she arrived in Port Stephens just in time and found a great sense of community there. It was an encouraging place for a young professional who is focused on finding solutions and not just describing problems. “One of the major contributions of faith to environmental thought is that Christianity has hope, which stands in stark contrast to many, many ecologists, environmentalists, and conservation groups,” she said. “The message is death and darkness—we’re losing this and we’re losing that, we’re never going to get this back and we’re awful. The Lausanne gathering also helped Amy see more clearly how caring for creation is a legitimate Christian concern. “Often you’re like, ‘Oh, those crazy, wacky green people,’” she said candidly. “But [care for the environment] can stand up to scrutiny from a Christian perspective. It is rooted in the Scripture—the earth is God’s. Amy is thinking through how she might be able to apply her skills overseas in a mission context in the future. And that process starts now with opportunities on campus and in her life in Hamilton.